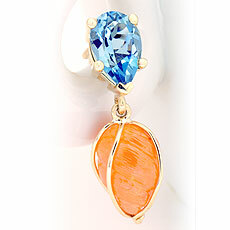 Custom made 18kt yellow gold hand carved Mandarin Garnet and Aquamarine earrings. The rich ocean blue of the Aqua’s contrasts wonderfully against the hand carved Mandarin Garnets. The shape has been carved as a seashell. This earring is a representation of the ocean and the treasures you find on the shore. 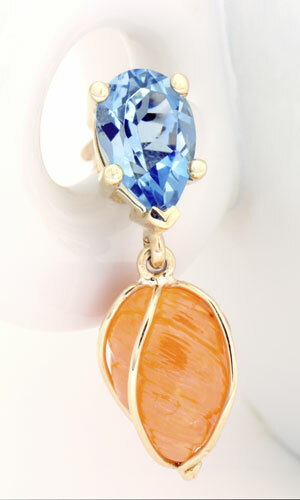 The playful elegance of these earrings allows them to be worn in many ways.